The modern gardening movement is experiencing radical growth. This progress has led to the genesis of a novel industry that operates under the umbrella term “controlled environment agriculture” or CEA. 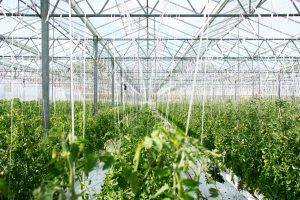 Within the field of CEA are a number of sub-categories: urban agriculture, vertical farming, indoor gardening, aquaponics, and greenhouse cultivation. Controlled environment agriculture training and jobs generally applies to all of these verticals. 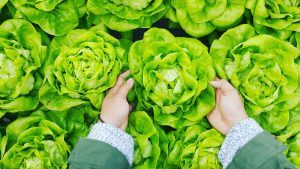 The progression of modern gardening from a home-based, hobbyist pursuit to full-scale commercial agriculture jobs can be attributed to several factors. First starters, rapid technological advancements in CEA equipment are making large-scale crop production possible for the first time. Secondly, facets of the CEA movement—such as urban agriculture—infuse farming operations with both societal and environmental awareness. It goes without saying, notions of “sustainable agriculture” are popular for political, moral, and ecological reasons. The growth of the CEA industry is explicit with multi-million dollars deals being struck with companies like Plenty This industry expansion brings jobs. 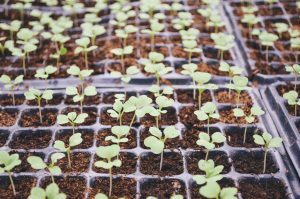 These jobs bring the need for qualified employees with controlled environment agriculture training. However, there is a slim talent pool available for CEA businesses. Moreover, those traditional farming professionals who are adept at mono-crop, large-scale field growing have a hard time transitioning into the technology savvy, specialized arenas of modern gardening. How long has the SFCC controlled environment training program been in place and what was the motivation for starting it? What is the primary emphasis SFCC’s controlled environment agriculture training? Of the numerous facets of the CEA industry, which would you say is lacking the most in professional help? How important is technology to the CEA movement and how is the CEA program at SFCC addressing this notion? Would you say that the program at SFCC is more involved with community-based agricultural efforts and programs than larger universities? How would you say that the controlled environment agriculture training SFCC promotes notions of environmental awareness that comes hand-in-hand with urban agriculture? How important is CEA production to the food supply in the Sante Fe, New Mexico region? This article originally appeared in the April 2018 edition of Maximum Yield Magazine.